The truth is, you have more needs than just a great rate and good service. Any real estate transaction requires a team approach. I pride myself on assembling the best people around me to ensure that my buyers always have an excellent experience while saving money and getting the best Buyer’s representation possible with no fear of dual agency. I belong to a partner network that is dedicated to serving your every need while buying or refinancing your home. These are vetted and highly respected colleagues that offer extra efforts in service because you are MY customer. Test them out and you’ll see why I get such great feedback from this approach to Exclusive Buyers Agency. There are so many moving parts to the real estate process. This is true whether you are a first time home buyer or a seasoned investor. Throughout the course of your transaction, you will have more options for getting your questions answered. 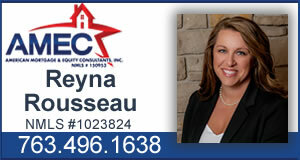 As your Exclusive Buyers Agent I know it’s important to have excellent communication with me and with your lender. Additionally, my colleagues will reach out to you as well during the process at the most appropriate time to ensure a successful and smooth closing. You should never have to wonder what’s going in the process. We make sure you know, usually before you ask. You will have a dedicated concierge that will keep you up to speed at every stage of the transaction. That’s my pledge. The key to excellence in Real Estate transactions is great communication and follow through. Through excellent service our team develops strong relationships between the realtor and clients and many times friendships develop because of that attention to detail. It’s because of our commitment to excellence that our buyers come back as repeat clients and send us referral clients. We value our clients and take pride in the excellent customer service at every level. The personal approach starts with listening. Our success begins with getting the information I need from clients to help achieve their goals. I have a team working along side me so that I can focus on your needs and on giving you the personal touch that you and your family deserve with any type of real estate transaction. Could YOU be the one holding your kids back? Buying and Selling a Used Car… What You Need to Know! Technology = Safer? or Better?